Concerned with protecting the safety, health and welfare of people engaged in work or employment. 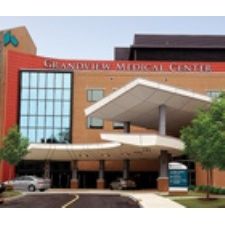 - You'll feel like part of our family when you visit Grandview Medical Center in our historic Dayton, Ohio neighborhood. - Serving the employers of Dayton and the surrounding Miami Valley Region since 1985. We strive to provide the best care possible for your employees and get them back to work as soon as possible. Services include physicals, drug testing, workers compenpensation, more. - We have seven convenient locations in the Dayton area. Troy, Dayton Mall, Springboro, Xenia, Dayton, Huber Heights and Clayton. - Helping our patients enjoy more active lives without the pain and limitations of arthritis caused by aging, disease, or injury. Our skilled physicians, nurses, and physical and occupational therapists consistently create positive patient experiences and outcomes. - ARCpoint Labs is a professional, full service, Drug, Alcohol, and DNA testing company, equipped to handle any DOT or Non-DOT, pre-employment, random, reasonable suspicion, return to duty, or workplace incident testing.